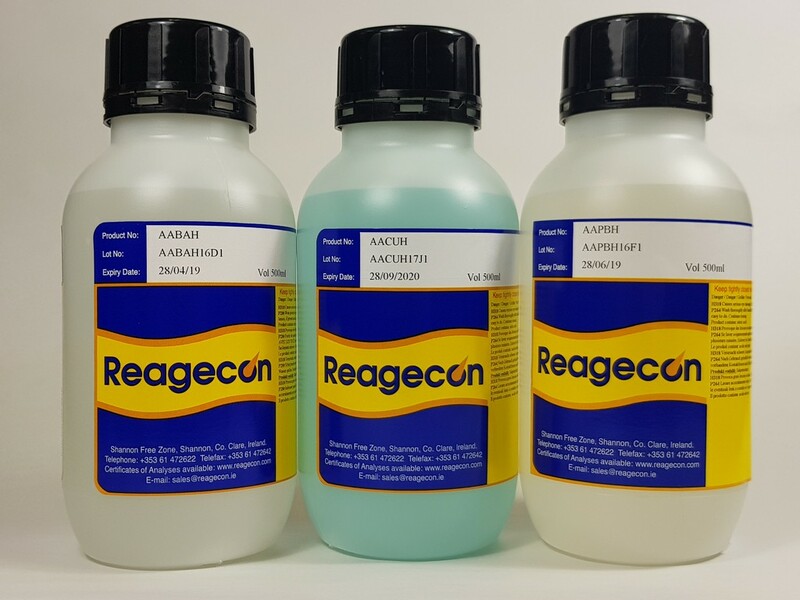 Reagecon's Thallium Standard for Atomic Absorption (AAS) 5 µg/ml in 2% Nitric Acid (HNO₃) is manufactured from very pure metal or salt (at least 99.9%) and is tested by an ISO17025 Accredited Test Method (INAB Ref: 264T). The raw material used in this standard is assayed by titration and ICP-MS prior to manufacture. Separate CRM’s are used to control or calibrate the titration and ICP-MS respectively. This product is manufactured gravimetrically. Prior to bottling, the final product is tested and verified using ICP-MS and it is certified using the gravimetric result, to a specification of ± 1%. (The certified results are reported and certified in mg/l on the basis of weight). Reagecon hold ISO/IEC 17025 accreditation for calibration of laboratory balances (INAB Ref: 265C). All of the volumetric, titrimetric and gravimetric functions are carried out under a highly regulated temperature regime. Reagecon hold ISO/IEC 17025 for Temperature Calibration in the range of -196 to +1200°C (INAB Ref: 265C). This product is produced in a highly controlled cleanroom (ISO 7) environment, using ultra-pure water (specially treated for the production of mass spectroscopy standards), high quality acids and pre-cleaned bottles. The titrimetry and spectroscopy are controlled and calibrated using separate Certified Reference Materials (CRM’s), so the product comes with two layers of traceability including NIST Standards where available. 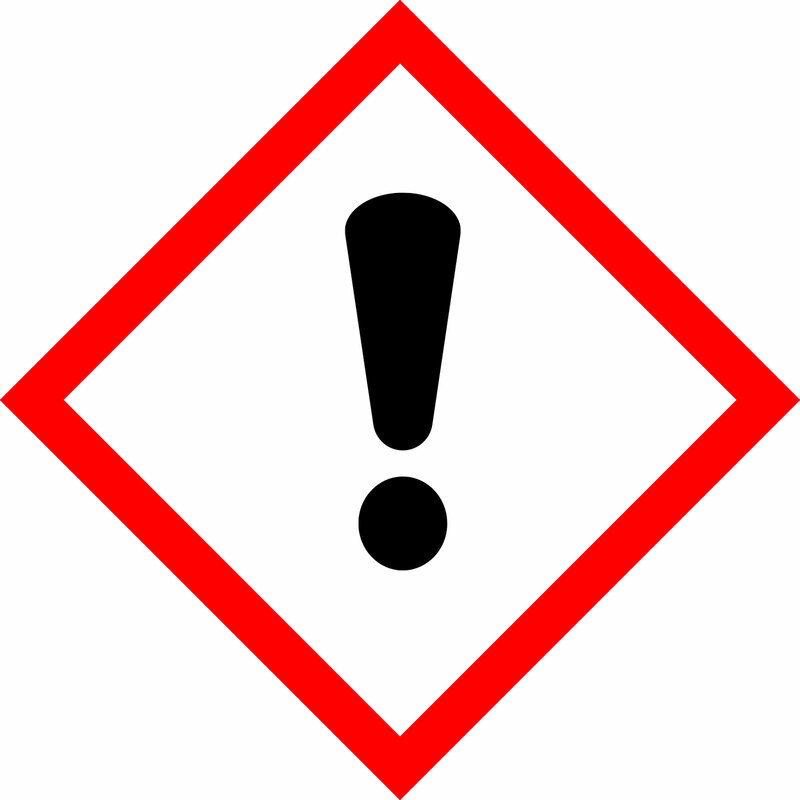 All of the uncertainties of measurement for this product are calculated according to Eurachem/CITAC guidelines and reported as expanded uncertainties at the 95% confidence level.